The present-day village dates back to the 8th century, Alpandeire being one of the first towns fortified by the Moslems in the Serrania de Ronda region. The layout of its streets still reflects the influence of Andalusi-Arabic culture, and particularly impressive for the visitor is the large nave of St. Anthony of Padua Church, which dates back to the 18th century. Stories of highwaymen, usually a combination of reality and legend, are still commonly told in the area. Alpandeire was home to one of the bloodiest and most notorious bandits in the Serrania de Ronda, Antonio Barbaran Jimenez, alias “El Barbarán”, who operated in the area in the first half of the 19th century at the head of a band of a dozen outlaws. Alpandeire has become a meeting and pilgrimage point for many people wishing to visit the birthplace of Brother Leopold of Alpandeire (1864-1956), a Capuchin almoner renowned in Andalusia, whose beatification has been in progress since 1961. Human presence in Alpandeire’s municipal area dates back to prehistoric times, as witnessed by archaeological findings at Cerro de Castillejos and the interesting Calcolithic dolmens discovered in the Encinas Borrachas area. 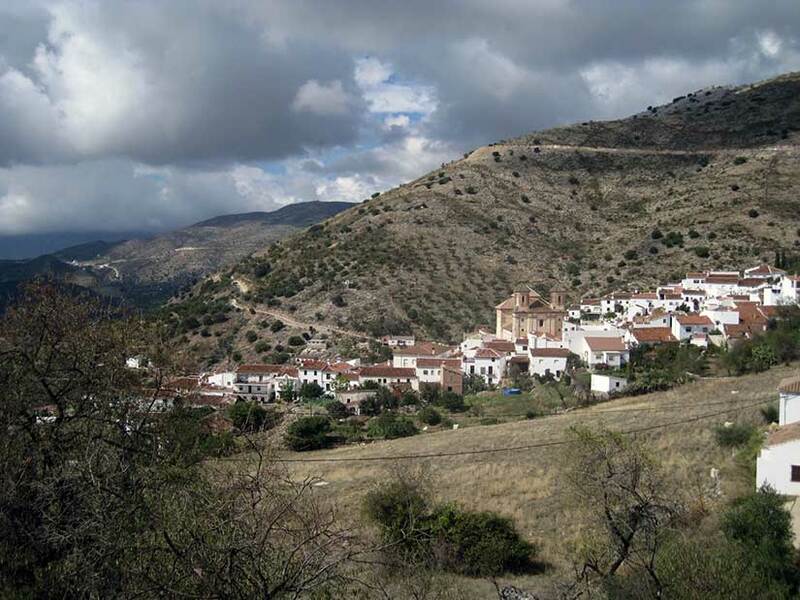 The present-day village dates back to 711, being one of the first in the Serrania de Ronda mountain range to be fortified by the Moslems. Hamet el Zegri later took refuge in the castle, from where he monitored attacks on Ronda. After the expulsion of the morsicos (Moslem converts to Christianity) in the mid 16th century, the village and the surrounding area were left practically abandoned, and Philip III was forced to issue a decree ordering the repopulation of Alpandeire as well as its dependencies, Pospitar and Audalazar. One famous figure born in the village was Brother Leopold of Alpandeire (1864-1956), whose real name was Francisco Tomas de San Juan Bautista Marquez Sanchez. He rose to fame in the whole of Andalusia as a Capuchin almoner, living the final years of his life in Granada, where his mortal remains lie in the crypt of the Capuchin Church. Moves to beatify him began in 1961.